Women working at one of Europe’s largest foundations, the UK’s Wellcome Trust, earn less than men according to new figures published by the Trust last week. While women make up 64 per cent of Wellcome’s workforce, they are in a minority at the very top pay levels. The median difference in pay between men and women was 20.8 per cent, higher than the national median of 18.1 per cent. The average gap in bonuses between men and women was 78.8 per cent although these figures reflect the large bonuses paid to an all-male led investment team responsible for producing returns on the Trust’s multi-billion pound endowment. Wellcome’s investment policies have previously come under scrutiny for prioritising the maximisation of returns irrespective of whether the Trust’s investments contradict, or are inconsistent with, its mission. Jeremy Farrar, director of the Wellcome Trust said that the charity had been too slow to improve diversity, but that the issue was now a priority. ‘It’s uncomfortable for many of us, but I do think there are moments when history can change and it is one to embrace and make the difference,’ he said. The Trust has promised to take measures to eradicate its gender pay gap. Over the next 12 months, it will introduce fairer ways to support recruitment, progression and retention of women at senior leadership levels; improve its diversity data; and provide staff training to mitigate bias. The news of Wellcome’s pay gap may increase scrutiny of the make-up of the wider philanthropy workforce. 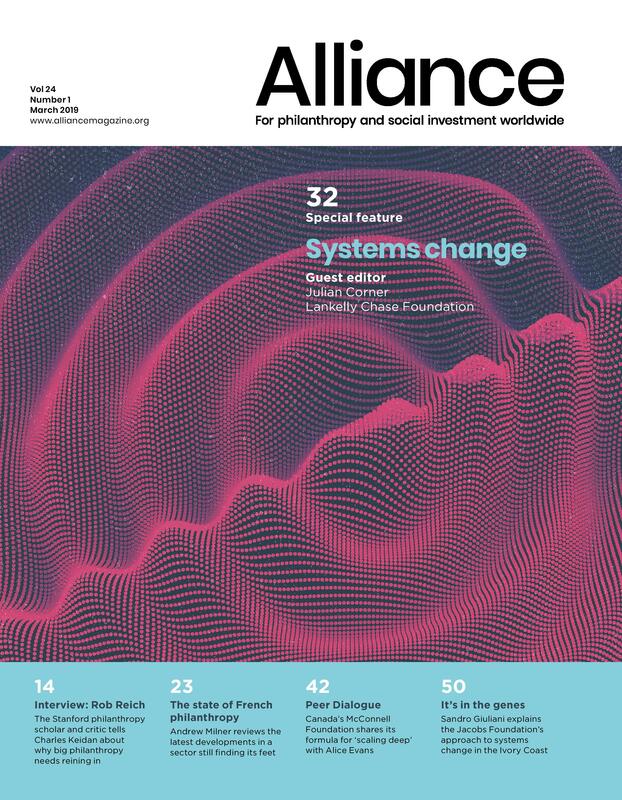 A recent survey by Alliance magazine found a lack of ethnic diversity and an under-representation of lower socio-economic groups in foundations. The UK’s umbrella body for foundations, the Association of Charitable Foundations, was unavailable for comment at the time of writing. For more see Philanthropy’s diversity challenge, the September 2017 issue of Alliance.